Whether you’re sailing through tranquil crystal clear waters, or anchored in a secluded cove with the most beautiful beaches in the world, you will agree – this will be the Caribbean Sailing Vacation of a lifetime! You can enjoy snorkeling, diving, fishing, shore excursions, sightseeing, beachcombing, or just sit back, relax, and enjoy a cocktail while viewing one of the most beautiful places in the world. Leave the Crowds Behind, Reserve Today! Let’s Face It… You’ve thought about it for quite a while. A fabulous sailing vacation through the Caribbean Islands, waking up to an explosive sunrise, and toasting the day’s end. Diving into crystal clear waters that are so private, you feel as if you are the first to discover them. Whether you’re planning on a Daysail, an Overnight, or even a week-long sailing trip, the Sailing Vessel Sopris is ready for you. 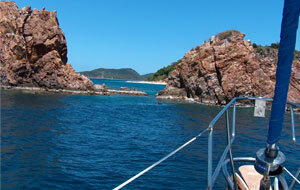 We have been providing sailing dreams since 1994 throughout the US and British Virgin Islands.